Home Fashion What is a Choli? A choli or a saree blouse is a fitted garment which is meant to be worn with saree and lehenga. A choli can vary as far as design, style and fabric is concerned. Choli designs are vary from region to region from daring to modest looking. 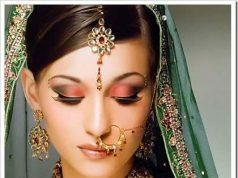 The garment is worn across Indian and in countries were saree is a widely worn outfit. Most stores which carry Indian clothing carry cholis, and it is also possible to find sewing patterns for these simple blouses, for those who prefer to make their own. Classical or the traditional choli designs is a short sleeved. with deep scooped neck and a bare midriff. Some people further refine the design by creating a variety of blouse back designs, openings and adding motiffs & blings, or adding buttons or laces to the front of the design. More conservative cholis may have higher necks, longer sleeves, or longer bottom hems which cover more of the midriff, and in regions where the sari is worn, office dress codes often specify which types of choli can be worn in the workplace. 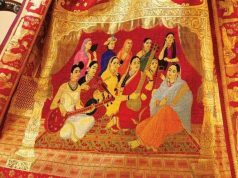 Traditionally, the choli has been made from the same fabric as the sari, with many sari producers adding extra length to their products so that women can cut the end of the sari off and sew it into a matching choli. 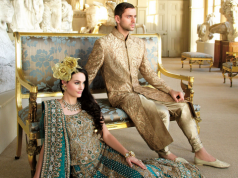 However, cholis don’t have to match the saris they are worn with, and they can be made in a wide variety of fabrics. Since saris themselves can be very expensive, many women like to purchase new sari blouses to change the look and feel of their garments. 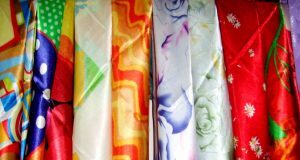 How to Care for Silk Scarves?